Made from recycled copper scrap, these 12-oz. Moscow Mule Mugs are fashioned for the popular cocktail of the same name. They keep drinks cold while looking elegant at the same time. 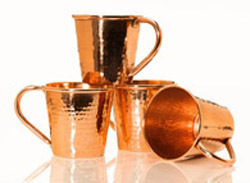 Additional solid copper trays, bowls, shot glasses, martini glasses, etc. are also available. Phone for details. 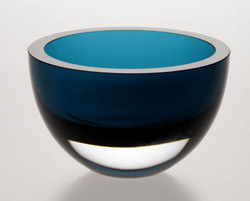 With its thick walls and rich color-within-clear appearance, these bowls are modern, yet classics. Bowl measures 6" in diameter. Can be ordered in aqua, peacock or cobalt. These wonderful lazy susans are both a serving tray as well as a table centerpiece. 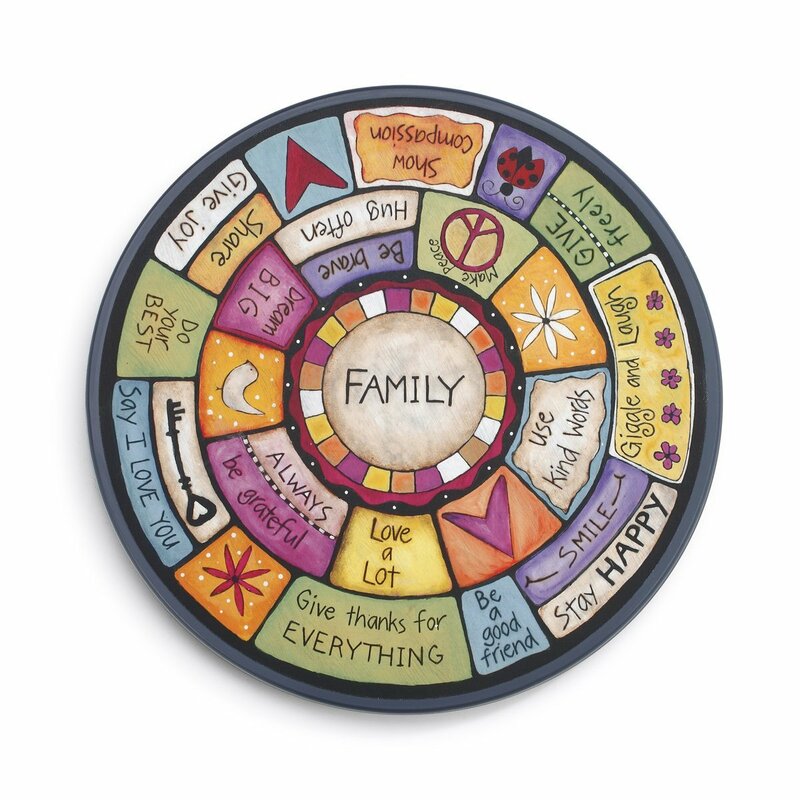 Many additional beautiful designs expressing gratitude are available. Contact us and we can email pictures of the other options to you. This design is 18" in diameter, while other designs are 14" diameter. A functional sculpture that wraps and cradles the ice within. 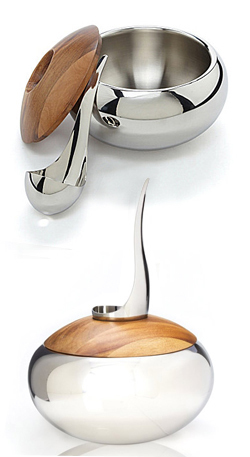 Made of stainless steel, it can be chilled prior to cocktail hour then brought out and placed on its acacia wood stand. Designed by Wei Young, ice bucket measures 9"D x 5.7" H. Scoop is 8" L x 2.75" W.
Levels of dimension take you deep within the beauty and mystery of these magnificent paperweights. 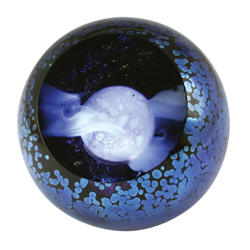 Many designs including celesial and environmental to choose from. LED bases can be ordered separately.